“The Embrace” is one of the proposed designs for a memorial to the Rev. Martin Luther King Jr. and Coretta Scott King. The dream of a memorial to the Rev. Martin Luther King Jr. and his wife, Coretta Scott King, in the city where they met and fell in love is running into a very Boston reality. 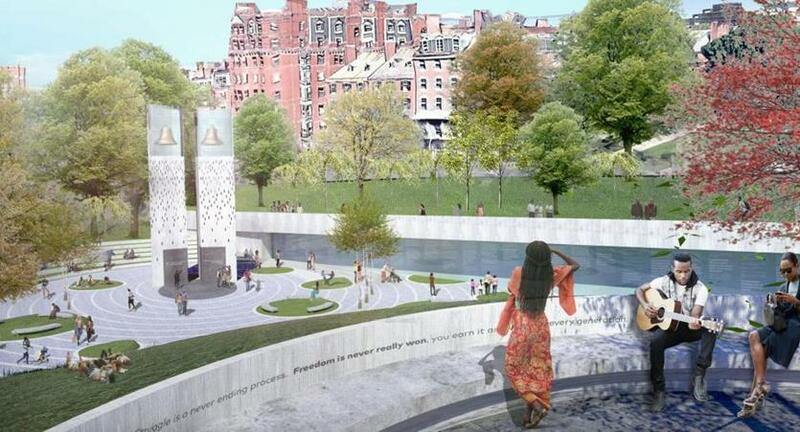 Like other groups that have proposed dramatically altering some of the city’s most historic sites, the group hoping to build a large, visually striking memorial to the Kings on Boston Common has encountered concerns about the costs and materials involved. King Boston, the nonprofit behind the memorial, says those concerns have prompted it to delay the announcement of the winning proposal until February or March, at least four months later than expected. The group has also eliminated two of the five finalists that were announced in September — “Avenue of Peace ” and “Empty Pulpit” — while the Boston Parks and Recreation Department asks an independent engineering firm to study the feasibility and costs of the three remaining designs. ■ “The Ripple Effects,” a sprawling concept that features two towers that emit light and sound in a rippled landscape next to a glass-walled walkway inscribed with civil rights milestones. ■ “Boston’s King Memorial,” a dramatic black stone bridge jutting from Beacon Street into the Common. 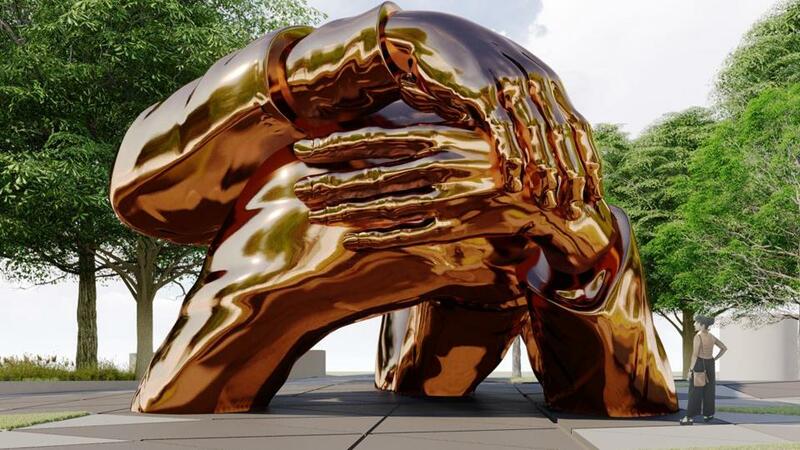 ■ “The Embrace,” an eye-catching, 22-foot sculpture of the Kings’ interlocking arms made of mirror-finish bronze. King Boston said it wants to ensure the memorial can be built for $3 million to $4 million, withstand years of exposure to Boston’s harsh weather, and be easily repaired if vandalized or damaged. The group is asking, for example, if specially designed bells and pulses of light in the two towers in “The Ripple Effects” will actually work. And will the mirror-finish bronze in “The Embrace” discolor or scratch from repeated visits and the ravages of snow, ice, rain, and sun? “The Embrace” was the public’s top choice when the proposals were put on display last fall. English said the group has raised $5.6 million so far and hopes to raise a total of $12 million to build the memorial and launch a King Center for Economic Justice to promote good-paying jobs in Roxbury. The Boston Foundation and Boston University marked Monday’s MLK Jr. holiday by announcing a combined $750,000 in support. Weston & Sampson, the firm evaluating the three proposals, is also developing a new master plan for the Common, America’s oldest public park, founded in 1634. The last sculpture built in the park dates to 1981, when the city added a granite marker honoring Pope John Paul II, who drew thousands to a Mass there in 1979. Elizabeth Vizza, executive director of Friends of the Public Garden, said the group wants to ensure the memorial’s design will be beautiful, fit neatly within the park’s pathways and other features, and stand the test of time. “There is work that will need to be done when the team is chosen to take the concept and evolve,” Vizza said. The memorial has been conceived as a way to elevate the Kings’ legacy in Boston. Martin Luther King spent several formative years as a doctoral student at Boston University’s School of Theology in the 1950s and preached at Twelfth Baptist Church in Roxbury. Coretta Scott studied at the New England Conservatory of Music. 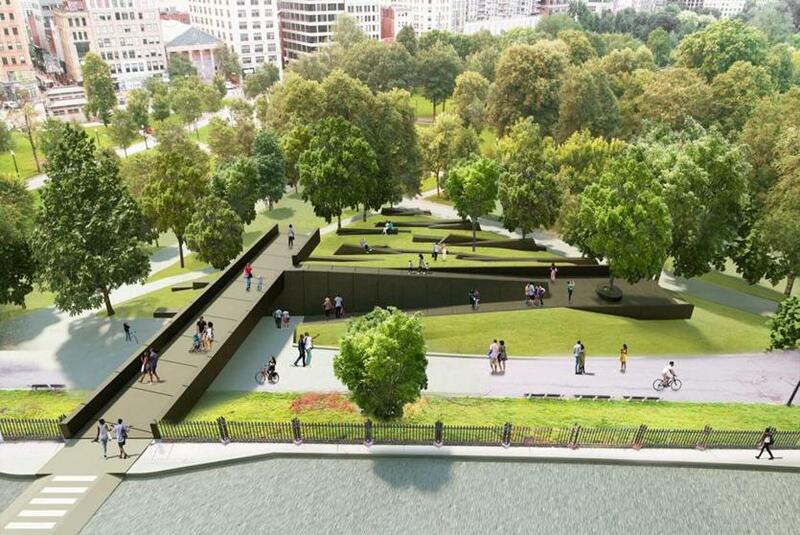 Originally scheduled for completion in late 2019 or early 2020, the memorial is now due in early to mid-2020.